Beautiful Atrium Ranch with over 3500 square feet of living space!!! This updated home first greets you with an entrance foyer and gorgeous vaulted ceilings. The 2 story atrium windows showcase your private lot backing to trees that fill with sunlight during the day. The great room features hardwood floors and a wood burning fireplace. The kitchen has been updated and ready for entertaining. The master bedroom provides a large closet for two and a bathroom suite with plenty of space. The finished walk-out lower level has a 4th bedroom, a full bath, wet bar, built-in bookshelves, gas fireplace, large family room and storage room. 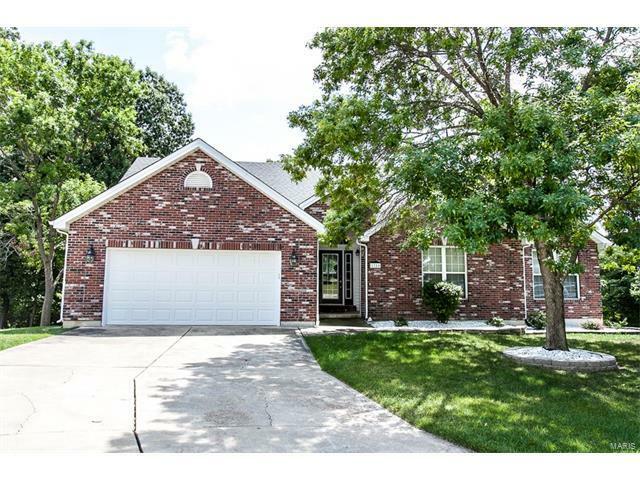 This atrium ranch won't last long, make it yours today! Hwy. 94 to Friedens Rd. to Right on Chandler Way. Follow all the way to end of culdesac.